Here is the 5 min video of the breakfast…. Albert M. Berriz and Ambassador Ronald N. Weiser are thrilled to announce an exciting partnership between JDRF and McKinley. To motivate and encourage the Ann Arbor business community to get involved in preventing, treating and curing type 1 diabetes (T1D) McKinley will match each corporate sponsorship of the 2014 JDRF One Walk-Ann Arbor, dollar for dollar up to a total of $100,000. This challenge is an extension of the generous commitment McKinley has made as the Presenting Sponsor. DOUBLE the impact of your corporate support by taking the challenge! 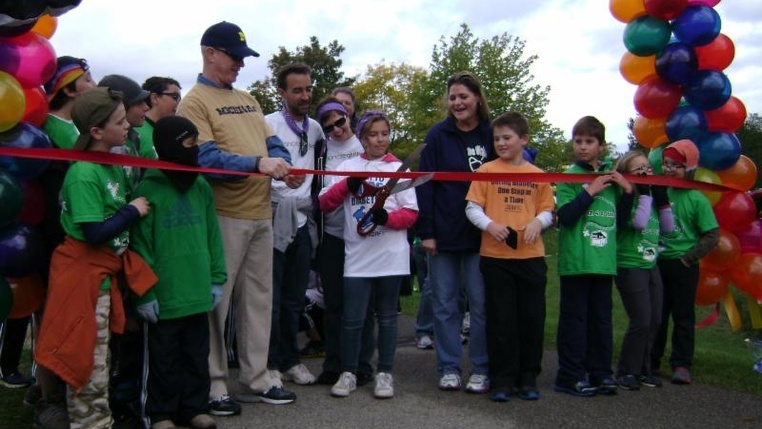 Your corporate investment in the JDRF One Walk-Ann Arbor will support reasearch that improves the quality of life of the over 72,000 people with T1D in Michigan and over 3 million people nationwide. JDRF has invested $35 million in promising research conducted at the University of Michigan Health System in the last 10 years alone. McKinley, headquartered in Ann Arbor, is a leading owner and manager of multifamily and commercial real estate throughout the country. JDRF is the leading global organization funding T1D research. JDRF's goal is to progressively remove the impact of T1D until Type One becomes Type None. Are you the take the challenge to cure T1D type? Ann Arbor, MI - McKinley Institutional Commercial Real Estate (ICRE) is pleased to announce it has been appointed Receiver for the Chapel Hill Mall which is located in Akron, Ohio. In addition to four successful enclosed mall dispositions, McKinley's ICRE group currently has seven enclosed malls under management in its national portfolio. Chapel Hill Mall is an 843,936 square foot asset and is home to 98 tenants including anchor retailers Macy's, Sears, and JC Penney. This latest takeover brings the total square footage of assets under management to over 2,500,000 in the state of Ohio. "Matt and his team have become the foremost workout operators in the country today of major enclosed malls," states Albert M. Berriz, McKinley's Chief Executive Officer. "This is a unique specialization, and this dedicated group of professionals is creating real and significant value for our clients in very challenging and complex situations." Akron is the fifth largest city in the state of Ohio and is the county seat of Summit County. The city has a population of 199,110. McKinley has been an owner and operator of commercial real estate in Ohio since 1989 and is the owner of the FirstEnergy Building and Akron Center Plaza which are located in downtown Akron. Ann Arbor, MI - McKinley Institutional Commercial Real Estate (ICRE) is pleased to announce the successful disposition of Diamond Medical Center located in Streetsboro, Ohio. McKinley ICRE was appointed as Manager of this 17,241 square foot medical office building in December of 2013. In just six months, expenses were reduced and the property was presented for successful disposition. "We were pleased to be selected by our client to manage and dispose of this asset on its behalf," states Matthew D. Mason, Managing Director, Institutional Commercial Real Estate. "Our team, once again, demonstrated its ability to drive results in a short time frame and meet the objectives of our valued client."